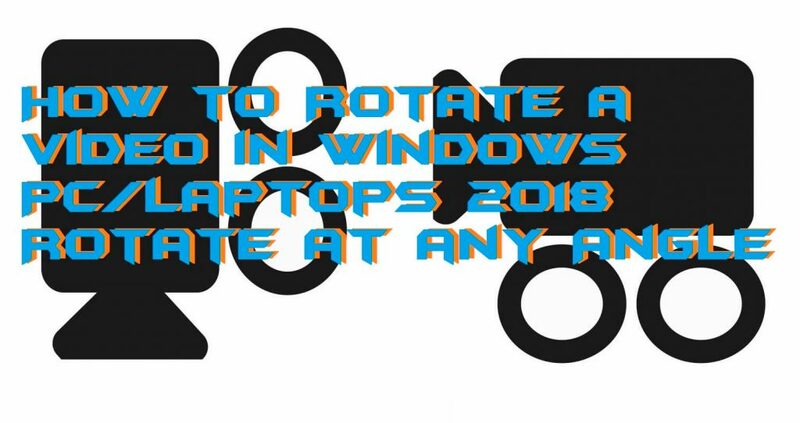 Hello friends, Today I will tell you a method on how to Rotate a video in Windows PC/Laptops. You can rotate a video at any angle from 90 to 180 degree. Users can even rotate a video upside down. This method will work on all Windows 7, 8, 8.1 and 10. You can view a video at any of your desired angles. You can even use this same method to rotate a photo as well as video. We love to watch videos on our Windows PC/Laptop. Sometimes videos are rotated at different angles, and it is hard to watch the video. So we need to rotate a video at a suitable angle to view the video. There are several softwares to rotate a video at any of your desired angles. But I will share an inbuilt method to rotate a video 90 degree or any angle. You don’t need to download or install any external software. Windows operating system is the most famous OS which is used by many people in the entire world. The best thing about Windows PC is that it is straightforward to use. Even a child can also use it without knowing about it. However, the customization is the thing which made Windows PC much popular as compare to others. Thus, from the customization part Windows also offers a fantastic video editing feature that is to rotate a video in Windows PC. In this section, you will be introduced to a fantastic method to rotate a video in Windows PC/Laptop. This is the best way to learn that how to rotate a video in Windows PC. If you were looking for a method which tells you that how to rotate a video in Windows PC. Then, of course, this guide will help you a lot. I have described the most straightforward method ever to know that how to rotate a video in Windows. To rotate a video in Windows PC, we are going to use an easy to use software which is an official software that is offered by Microsoft Corporation. If you are ready to get to know that how to rotate a video in Windows PC then you can start our guide which is listed below. Get the Windows Movie Maker software from its official website. Now, install the software and open it. Then, click on Add videos and photos option. Select your video whom you want to rotate. Now, from the Editing tab click on the Rotate icon to rotate the video. After rotating, Click on File and then click on Save. Now, save that edited video in the same format. That’s it. You have successfully learned that how to rotate a video in Windows PC/Laptop. This is the fantastic and simplest way ever to know that how to rotate a video in Windows PC/Laptops. Windows Movie Maker is the best software to rotate a video in Windows PC. Also, it is an official software by Microsoft, and that’s why we have used it to learn that how to rotate a video in Windows PC/Laptop. 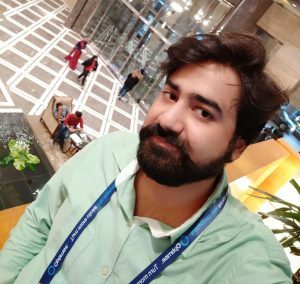 Let me also tell you that this software is free of cost and hence you can do more advanced editing in it if you would like to do it. However, there are many software that is free and paid which can help you in editing a video or photo as well. I hope using this guide you have learned that how to rotate a video in Windows PC. Tell your colleagues also that how to rotate a video in Windows by sharing this fantastic article with them.